When injury, illness or death is the result of the action of another individual or corporation, it is critical that you act swiftly in seeking legal counsel from a Long Beach personal injury lawyer. The legal matters surrounding your case must be carefully managed to ensure that you do not lose the opportunity to seek certain types of damages in your case. As time passes, it becomes more difficult to document the injury case, and full supporting evidence for the claim is a critical part of any personal injury case. Our legal team at the Law Office of Leonard Matsuk is known for their personal attention to their client's cases, and never run the practice as an "injury mill", shuffling clients off onto an assistant. We are proud of our outstanding record in successfully recovering high value settlements in all types of personal injury cases. Whether you have been in a car accident, bus accident, truck accident, motorcycle accident, boating accident, drunk driving accident, bicycle accident or pedestrian accident, our firm may be capable of assisting your efforts of recovering financial damages a negligent party has caused. We also provide legal advice and assistance to those injured from dog bites who may be suffering from serious injuries ranging from small cuts or punctures to major lacerations and broken bones. If you have suffered an injury from defective products such as a defective automobile part or a toy with a defective design, then a personal injury lawyer can help you seek compensation for your injuries. Whether it is the fault of a manufacturer, designer, distributer or another person responsible, we will help uncover who is to blame for your injuries. Product recalls are requests made by the maker to return a portion or all of the products that have been made during a defective product run. If you have been the victim of a dangerous product, contacting a Long Beach personal injury attorney can help keep others safe from future accidents. Thousands of people are injured every year by dangerous circumstances that contribute to a slip & fall accident. The property manager may be responsible for the dangerous conditions that contributed to your slip and fall accident, and a lawyer can help you determine who is to blame. The Law Office of Leonard Matsuk also handles premises liability, nursing home abuse, brain injuries, spinal cord injuries, neck injuries, burn injuries, workplace injuries and construction accidents. Our firm has built a growing reputation in the legal community for our ability to successfully litigate on behalf of our clients or our client's families in the case of a wrongful death of a loved one. For more information on how our legal team can help you, do not hesitate to consult with one of our Long Beach personal injury attorneys today! When an injured victim has suffered through the negligence of another, the liable party must be held accountable financially for the costs, both economic and non-economic, that are the result of their actions. This type of justice is available under state law, and although a catastrophic injury case can never fully be compensated, the least one could expect would be that the injured victim had access to the highest quality of life possible. As future medical treatments become available, it is important that the victim has the finances available to seek those treatments in the hopes of improving a permanent condition. 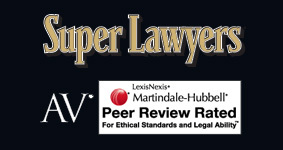 Our lead attorney Leonard Matsuk is AV® Preeminent™ rated by Martindale-Hubbell®, which is the highest rating an attorney can receive for ethical conduct and legal ability. He is also one of the 5% of California attorneys to be included in the selection of Super Lawyers® by Super Lawyers® magazine. What's more, he is rated "Excellent" by Avvo.com, a legal ranking website. These recognitions are a reflection of the care, intensity, and experience that he brings to injury cases. The attorney you select to fight to recover compensation for damages is an important choice; the experience, professionalism and integrity of your lawyer will significantly impact the outcome of the case. Our injury cases are carefully researched and documented, and every possible type of compensation that could be sought in your case will be included in a comprehensive claim or lawsuit filed against the negligent party. It is vital that you get legal representation quickly after an injury in order to ensure that the case is managed correctly from the outset, including correctly filing a claim. In some unfortunate cases, the injured victim loses the ability to enjoy life as they did prior to the accident. In these instances, the compensation that the victim receives should reflect their loss of enjoyment in life, in addition to any outstanding medical bills the injured party will be held accountable for in the future as a result from the accident. The negligence of another party, whether it was due to their lack of regards for the value of another human life, or they were distracting while driving their car, should be held responsible for all the damages they have done. The legal team at our Long Beach firm is compassionate in finding the settlement you and your family will need to make it through the tough road ahead. We will fully prepare you for an uphill battle and stop at nothing to ensure your every last right is protected. You can rest assured that you will be in the hands of a professional, competent legal counsel devoted to seeing that you get every penny you are entitled to. If you or a loved one has recently been injured in an accident as the result of another individual's negligence, do not wait another minute to contact a Long Beach personal injury attorney from our firm.